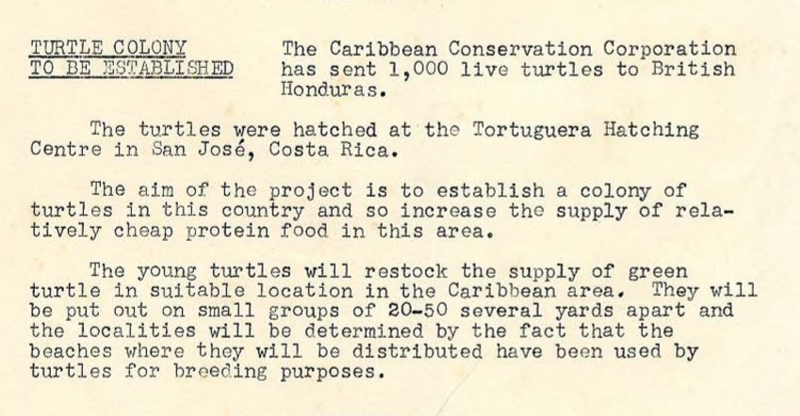 In the 1950s Dr Archie Carr and the Caribbean Conservation Corporation, now the Sea Turtle Conservancy, launched Operation Green Turtle which distributed green turtle eggs and hatchlings from the Tortuguero nesting beach in Costa Rica to other countries in the Caribbean where green sea turtles once nested in abundance. Was this effort successful in repopulating green sea turtle nesting beaches? Probably not. 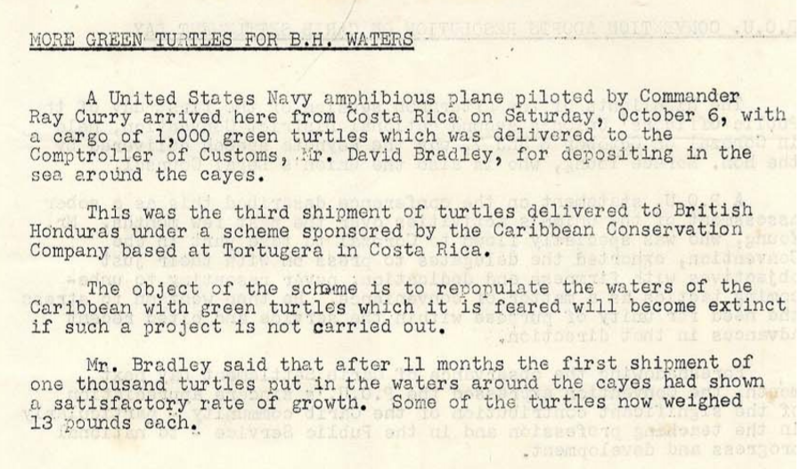 As we know now, hatchlings instinctively return to their natal beach to nest, but early researchers were experimenting with ways in which to bring back the green turtle rookeries in the Caribbean and this was one attempt. These early efforts led to increased awareness on conservation of sea turtles. 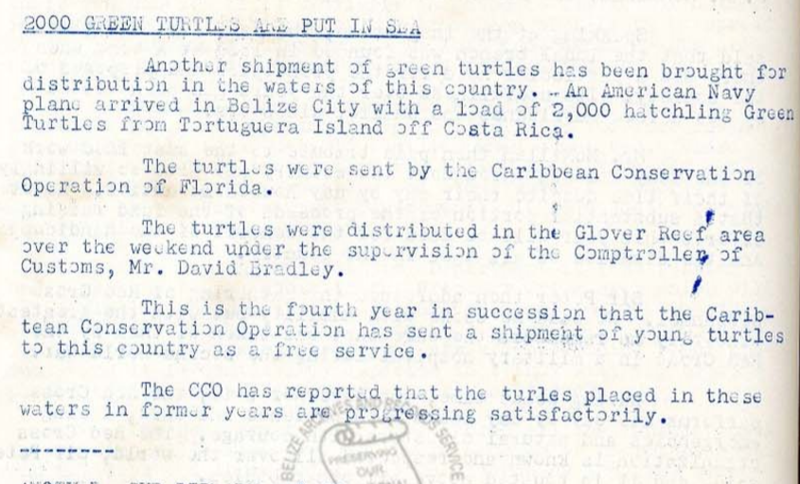 Operation Green Turtle made at least 7 visits to Belize, as documented by the British Honduras Newsletter and the Belize Billboard. More than 6000 green turtle hatchlings were released in many locations around Belize including Turneffe, Lighthouse, Glovers and Tobacco Caye. 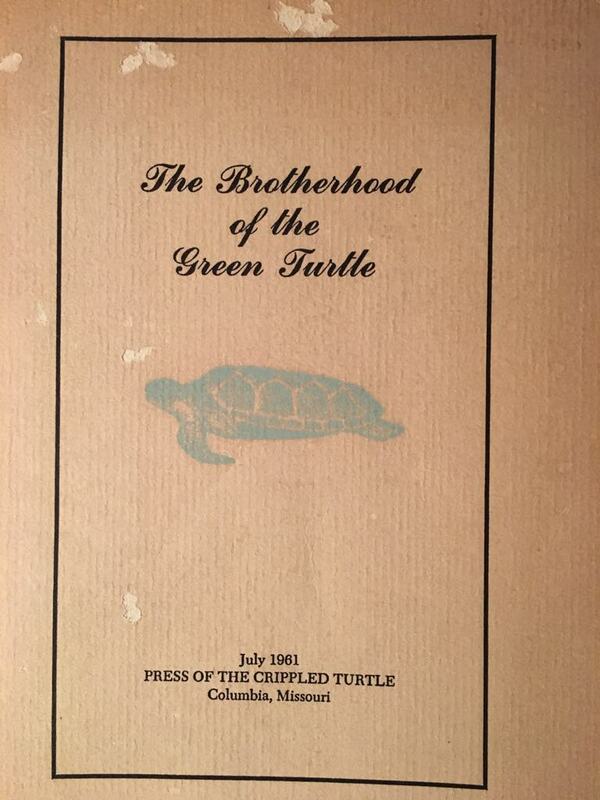 In the 1950s there was formed an association called The Brotherhood of the Green Turtle. The association included about 150 persons from the USA and Caribbean. 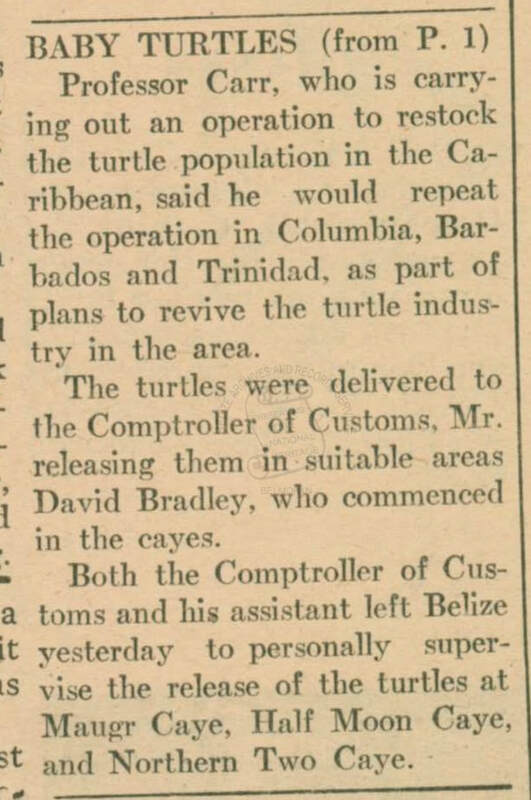 The then Comptroller of Customs in Belize, Mr David Bradley, who facilitated the import and release of the green turtle hatchlings in Belize, was the only member from Belize. 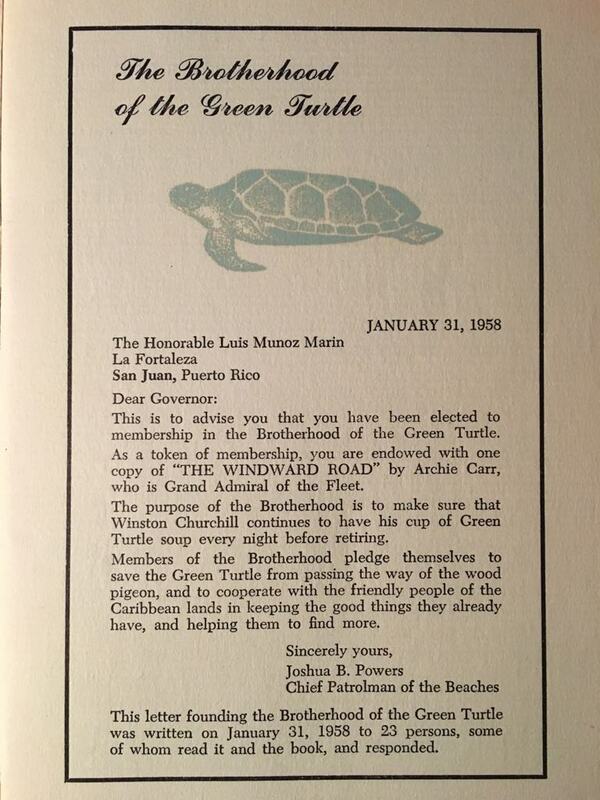 The Brotherhood's founders then formed the Caribbean Conservation Commission.